The miner is power-off in the upgrading process. The miner cannot start (cannot find IP). The miner can only use the default factory workers. Download the v9-SD Tools.zip by go to the left sidebar, found and click "Flashing SD card with image" >> "Tools and Instructions to Image SD card" -> "v9-SD Tools.zip" Note that Z9 mini uses the V9 recovery file. 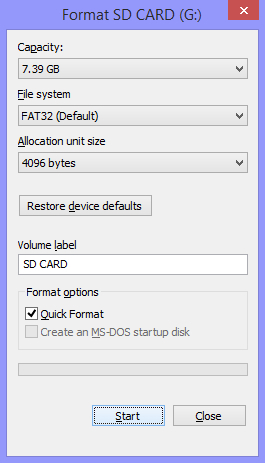 Remove the SD card from computer. Power off miner (unplug the power core). Insert the SD card properly to the miner. Power on miner. Wait until the signal light besides the internet port stop blinking if the program is copied well to the control board. Wait for 1 minute after light stop blinking before you power off the miner. Power off miner (unplug the power core). Then remove the SD card. Power on miner. Now, miner have been restore to factory setting. Load the firmware. Go to https://service.bitmain.com/support/download for the latest version firmware.